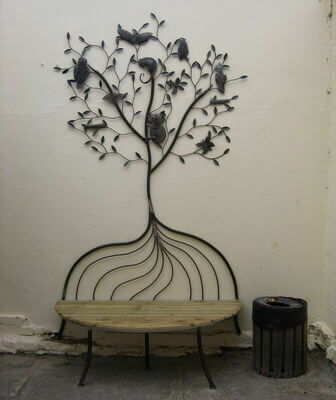 This Williamstown Tree Bench Seat is made from mild steel which has developed a unique rust patina. This Bench seat is 1600mm wide. This Seat was designed by Grade 5 students as part of an artist in residence program at Westbourne Primary School. It is a unique design.